Indus Hospital for the first time in the medical history of Pakistan is starting E-Cardiology, which focuses on monitoring and providing immediate help to any heart patient, electronically. The Cardiology team at The Indus Hospital, along with the help of Health Information Management system, has made it possible for any image or video to be transferred from the hospital to the cardiologist’s cell phone within seconds. Now, the staff is able to transfer an ECG, X-ray image, lab report, coronary angiogram or echocardiogram to the consultant’s phone within no time. This practice has helped save lives as the time taken for an expert decision has been minimised to a few minutes even during the night. The project has been accomplished by the Health Information Management system and the cost incurred on every transfer of image is less than Rs 6. 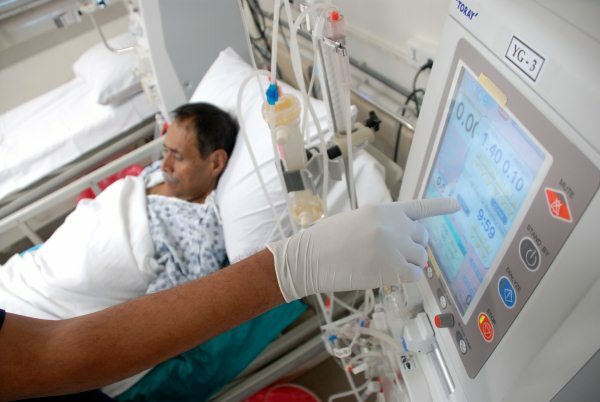 “It has been successfully used for the past few months and is an accomplishment for The Indus Hospital for initiating emergency electronic cardiac service which facilitates decision making through rapid and effective communication. This has and would certainly make a major difference in providing emergency cardiac care to our patients,” commented Dr Sajid Dhakam, Director Cardiac Services at Indus Hospital. I am Imran Iftikhar , I joined Indus Hospital as a cardiologist 2 yrs back. We along with our IT department (HMIS ) has been working on different projects and have come up with a new term in the Pakistan history of Medicine and Cardiolgy -the E-Cardiology . The concept is to provide the urgent help to the doctors working at the facility 24/7 to help save lives. Cardiology is a field which requires urgent decision making to administer the proper life saving drug at proper time. For this the consultant has to be there which is not apossibility 24/7. So we devised a system that enable us to be at the Hospital even when we are not. We are the first Paperless hospital of the country as well. Very nice to hear from you Dr. Imran. Your work is inspirational. Dear Dr. Imran, yesterday I went INDUS Hospital for my mother’s checkup. she is heart patient. Your medical officer gave me a date of your appointment after 3 months. my mother is not in position to wait till 3 months. can you help me in this case.